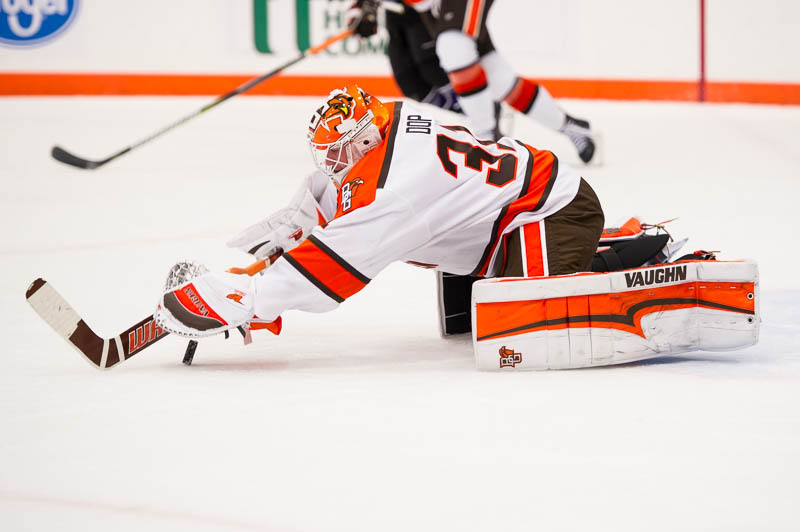 Eric Dop has settled in to the college game well, leading the Falcon goaltenders in wins, save percentage, and goals allowed average (Photo by Todd Pavlack/BGSUHockey.com). This weekend the Falcons welcome their longest rival: the Lake Superior Lakers. 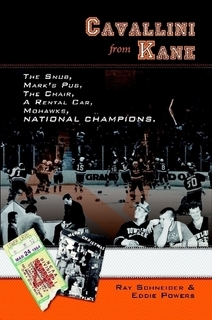 The two teams have met 166 times in their storied histories. Friday’s game begins at 7:37 PM and Saturday’s puck drop is at 7:07 PM. Eric Dop was named the WCHA Rookie of the Week for the second week in a row. Dop has gotten off to a stellar start in his first collegiate season. He’s 3-1-0 with a 1.75 GAA and .936 save percentage. He is eighth nationally in goals allowed average and sixth in save percentage. For the first time since the preseason edition the Falcons are receiving votes in the USCHO.com national poll. They’re also receiving votes in the USA Today/USA Hockey Magazine for the first time this season. Bowling Green came in at second place in the Tech Hockey Guide weekly media poll. Minnesota State was #11 in the USA Today/USA Hockey Magazine poll. Northern Michigan and Bemidji State joined Bowling Green in receiving votes. Lake Superior has stumbled out of the blocks this season enroute to a 2-6-2 record. The Lakers bright spot this season has been their power play which is succeeding at a 31% clip. Lake Superior has yet to win a game away from the Soo this year. This weekend marks the first to feature every league team playing for conference points. Alaska travels to Ferris State, #20 Northern Michigan plays a home-and-home with Michigan Tech, #10 Minnesota State travels to Bemidji State, and Alaska-Anchorage heads south to Alabama-Huntsville.